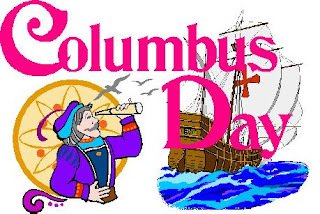 I’m not sure why exactly, but the federal government still recognizes Columbus Day (despite the fact that he did not discover America, and actually was a pretty wipe-out-all-the-natives sort of bad guy). But I won’t argue – give me an extra day of weekend and I’ll give you an Ahoy there! All hail Columbus! This weekend was long and awesome but not particularly eventful. Sometimes I just need to chill out, not do much, and not feel guilty about it. Friday night 6x6 and I went for a National Mall run – I will never get tired of the Washington Monument and Lincoln Memorial at sunset. 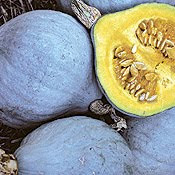 Saturday morning I went to the farmer’s market, where I discovered my new favorite kind of squash: Blue Hubbard – have you tried it? I picked one up on a whim (it’s blue, it’s round, why wouldn’t I buy that?) and it’s delicious! My most ambitious activity for the day was shopping in Georgetown. It was even more crowded than usual thanks to the Taste of Georgetown event thing. We didn’t even go near that – there’s no need for me to pay for a food sample! That should just be free. But paying for an Americano and a cookie at Baked and Wired? Mmmmm, I’m totally ok with that. Saturday night we celebrated LLC’s newfound employment. WOOHOOO!!! Finding a job is hard and she did it! So we meandered over to Saint-Ex for an night of dancing and ridiculousness. LLC celebrated in style with a big group of friends, but oh man I was tired the next day! Sunday was a repeat of the laziness – brunch at Founding Farmers (blueberry pancakes! ), followed by lots of reading on my floor, followed by a baking and cooking a house dinner for my friends and co-habiters because I’m the awesomest roommate ever (it involved pumpkin. And peanut butter. Get excited!). And then Monday – oh Monday! No work = sleep in, run, and read. Excessively. It was awesome! However I did redeem myself from the land of the lazy by embarking on a major activity in the afternoon – I made my way out to MD to see my refugees and spent over 2 hours at their house doing high school homework and attempting to navigate the complex system of being poor in America. Both of which are hard! I’ve always felt (pretty strongly) that all weekends should be 3-day weekends. Two days just isn't enough, right? Hope you had a good one!